It’s a magical moment when on your whale watching trip you see your first whale. Their elegance and size are a sight to behold and an unforgettable experience. After spending their winter break in the Caribbean the whales migrate north and the season begins in April when the Cape becomes home to right whales, Humpback, Finback, Minke whales and several dolphin species. 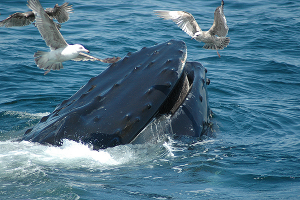 This means the waters around Cape Cod and the Stellwagen Bank are consistently ranked as one of the world’s top 10 whale watching destinations. 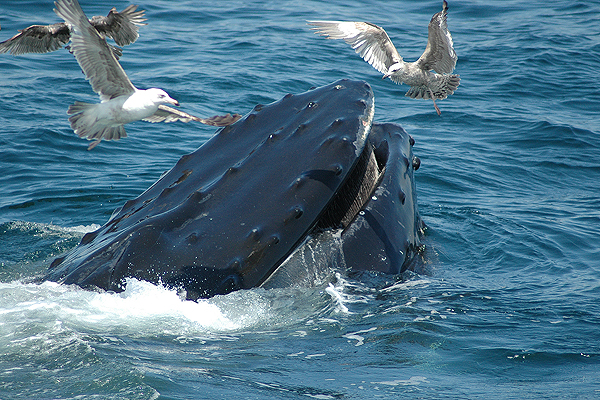 Whale watch tours regularly leave from both Barnstable and Provincetown harbors, last 3-4 hours and, depending on the time of year, whale sightings are virtually guaranteed. You’ll experience the beauty of the Outer Cape traveling along the National Seashore, viewing the beaches, lighthouses and the very tip of Cape Cod. The season runs from April until October and is a must. Take a 4pm sailing from Provincetown on The Dolphin Fleet and enjoy a glorious sunset before returning to take a stroll down Provincetown’s Commercial street. Enjoy a drink at one of the many cafes, people watch and finish the evening with dinner in this lively and flamboyant town. And it’s here right on our doorstep.